Day 16 of the Tour de Fleece is here and I finished skeining the Sunset Fibers Polwarth 2-ply. The picture shows the yarn before I set the twist. Now that the Pink Elephant is spun and plied, I have moved on to another bump of wool from Sunset Fibers, this one BFL in the July 2013 Roving of the Month colorway. My plan is to chain-ply the singles and get a self-striping yarn. Keep your fingers crossed that it will turn out okay. My chain-plying has improved, but I still have a long way to go before I’m good at it. 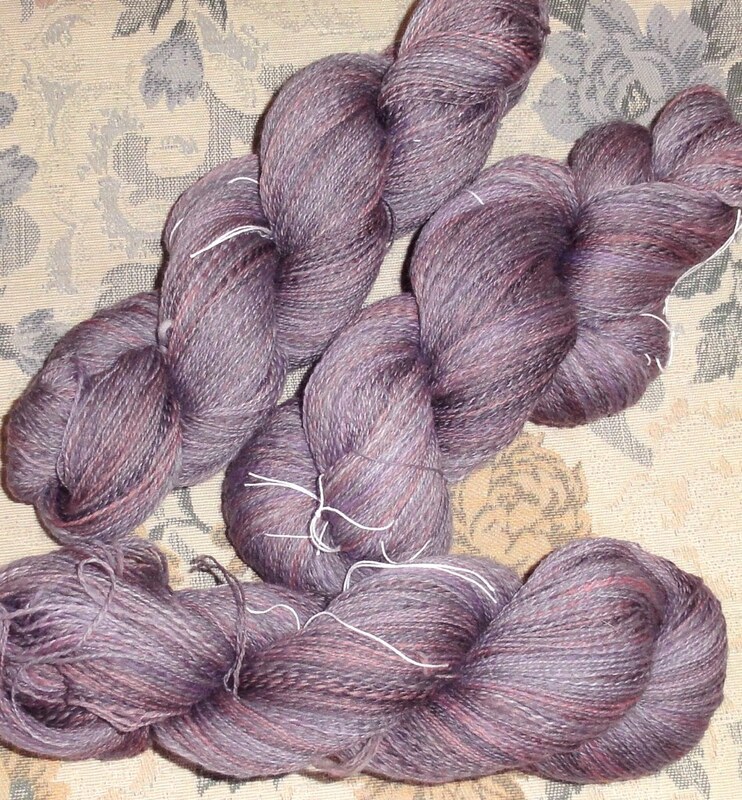 This entry was posted in Spinning, Uncategorized and tagged BFL, hand spinning, handspun yarn, Polwarth, Sunset Fibers, Tour de Fleece. Bookmark the permalink. 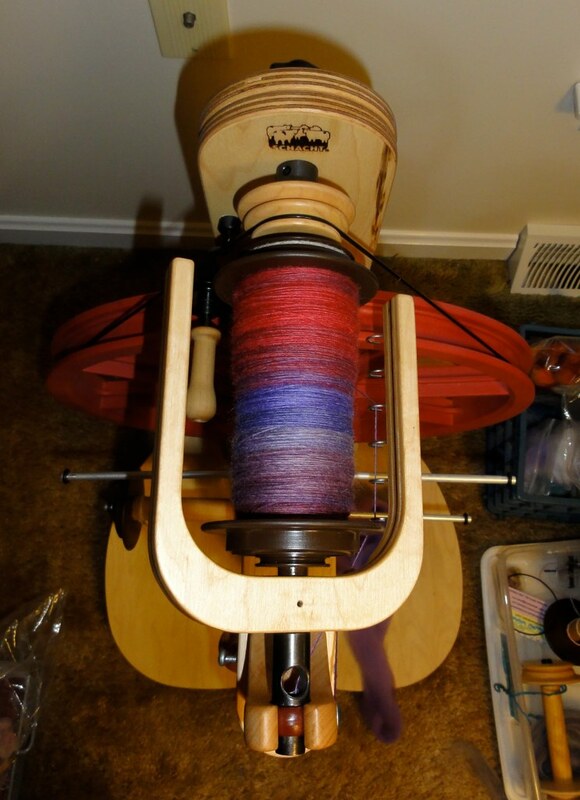 I haven’t heard a lot of discussion about what makes for a good chain plied yarn. I assume it means that the little bump is not perceptible. Yeah, getting the knots to be less noticeable, getting the proper amount of twist, getting the twist evenly distributed, all the usual suspects. LOL I’ve been practicing by chain-plying my “leftover” singles and I have been able to get a rhythm going. I think rhythm is one of the keys to getting a smooth, even result.